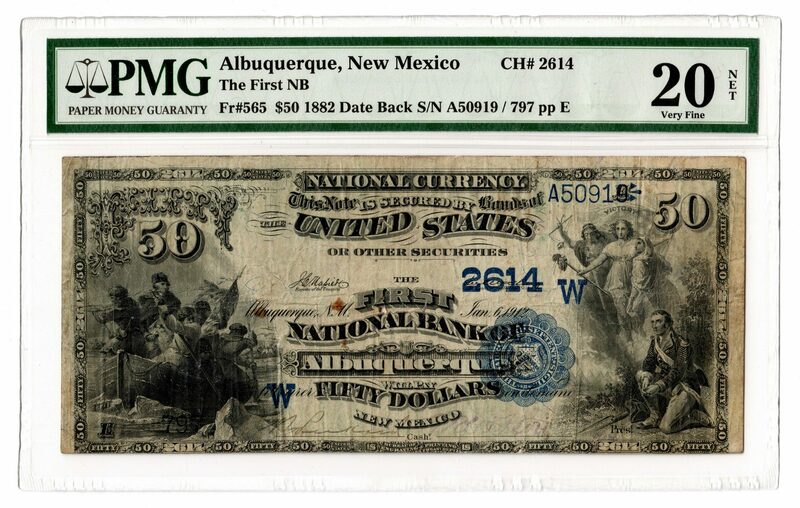 $50 "Date Back" bank note (Territorial) dated 1882 from the First National Bank of Albuquerque, New Mexico, depicting a vignette of George Washington crossing the Delaware, left, with a vignette of Washington at prayer, right. Second Issue. Serial # A50919/797 pp E. CH # 2614. FR # 565. Napier/McClung signatures. PMG graded, 20/Very Fine. Provenance: the collection of the late James A. Newman (Nashville, TN, 1892-1964). 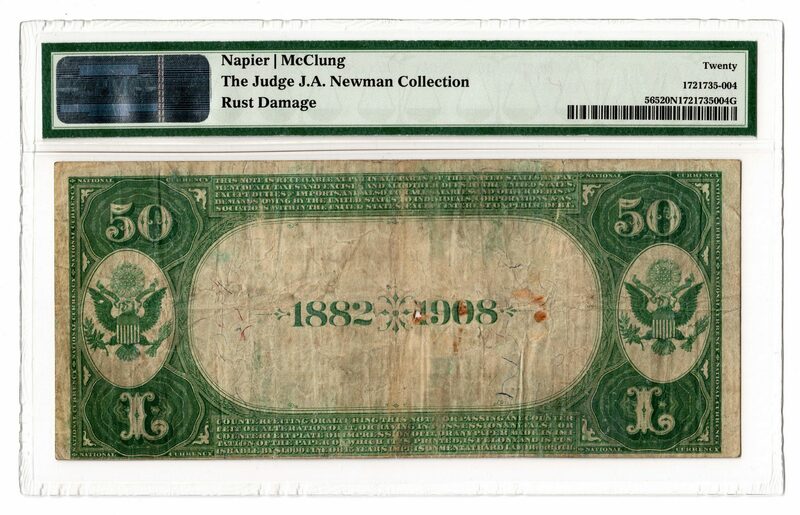 CONDITION: PMG graded, 20/Very Fine. Rust damage with slight hole near center.